More and more organisations look to use Psychometric evaluation or Occupational Testing of prospective management and senior employees to optimise business fit, performance and retention. 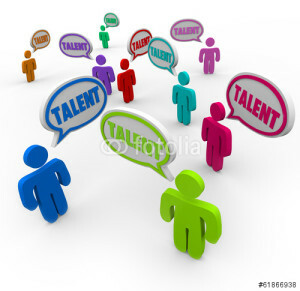 These methods are also showing valuable results when used with existing personnel to identify the talent pool, and build personalised development plans to help release its capability. We are able to run Assessment Centres based on the required outcome; factors such as location, timing and appropriate Tests for the purpose are carefully weighed. At all times we place emphasis on speed, accuracy and, most importantly, dealing with the candidates honestly and with respect. We follow optimum practice methods, and all candidates are given meaningful feedback on their performance. On completion of the Centre, all relevant information is then at the disposal of the Client in order to assist them in making informed choices. HRmeansbusiness has several practitioners who are Level A and B British Psychological Society certificate holders, and additionally some who are OPQ qualified to administer and interpret Saville & Holdsworth’s test batteries giving a wide range of options across the spectrum of Pyschometric, Ability and Aptitude testing.